One of the bigger bits of news in the midst of the massive THQ firesale was the acquisition of the beloved Homeworld license by Gearbox. 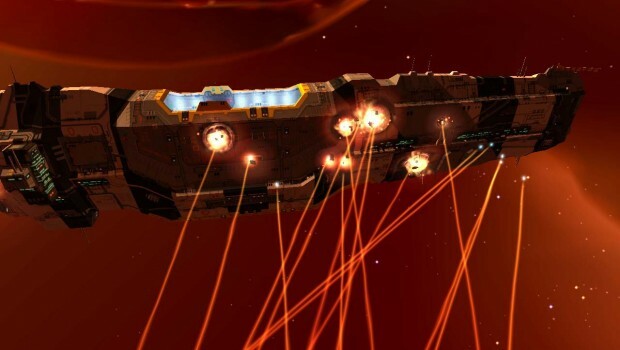 Even now, the slow, methodical strategy of Homeworld doesn’t seem to fit into the Gearbox library of shooters, but that doesn’t really matter any more. What does matter is this: during their PAX Australia panel, Gearbox finally announced HD remakes of Homeworld and Homeworld 2. Short of announcing a direct, numbered sequel, this is about the best thing we could have asked for. The Homeworld games are becoming increasingly difficult to come by as they age, and it would have been a shame to see them lost or forgotten. We haven’t heard anything about additional content, but in all honesty, there’s not much new content needed; except for the dated graphics, the series holds up remarkably well. Homeworld 2 still looks great, even by modern standards. No news on a release date, but you know we’ll be watching this one closely, so stay tuned for more details. Oh, and we don’t mean to say we told you so, but….